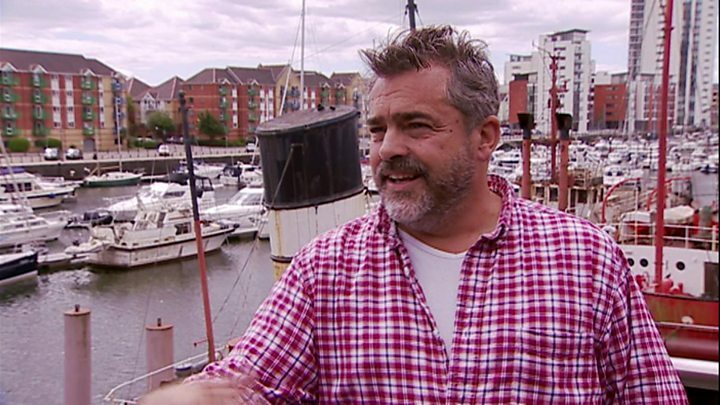 Judges from the UK City of Culture panel are in Swansea on Monday to assess the city's 2021 bid. Judge Phil Redmond, creator of TV shows Grange Hill and Hollyoaks, and the city culture panel are in the city for the first time in the campaign. Coventry, Paisley, Stoke-on-Trent and Sunderland are also in the running to succeed Hull as the chosen location. Russell Greenslade, chief executive of Swansea Business Improvement District, said they will "pull out the stops". Swansea, which lost out to Hull four years ago, was shortlisted in July and the City of Culture for 2021 will be announced by the UK government in December. The team behind the Swansea bid previously said it planned to match the £33m spent by Hull if it wins the cultural title. "This could be one of the most important things to happen to Swansea in terms of inward investment, jobs and prosperity," said Mr Greenslade. "So we now all need to pull out all the stops and show the judging panel how much we want - and need - this." Mr Greenslade said colleague from the Hull team have told him about the "massive impact" City of Culture status has had on the city. "Footfall and revenues have risen significantly so if Swansea gets this we have a lot to gain," he added. The bid is being backed by hundreds of business, both of the city's universities and the Abertawe Bro Morgannwg health authority. 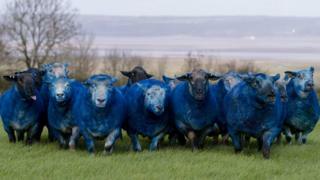 In honour of the visit a flock of sheep in the Gower were spray painted blue at the weekend in support of the bid. Rowland Pritchard and his son, Will, used animal-friendly dye which they said does not harm the sheep, which graze near Weobley Castle, and will wear off naturally. Mr Pritchard said while dyeing the sheep was a "bit messy" he wanted to show support for the bid as it would benefit local businesses like them. He said: "Dyeing our flock the Swansea 2021 blue is a bit of fun but I hope it will catch people's attention and prompt them to back the bid. They're already causing quite a stir." If the bid is successful, Swansea will hold the title for four years. Rhoslyn Harrison from Mumbles Pier said City of Culture status was "vital for Swansea." "We believe Swansea will receive a much-needed boost from becoming UK City of Culture," she said.